Too harsh? We Android users are used to having to wait for the next big app to ship after iOS. 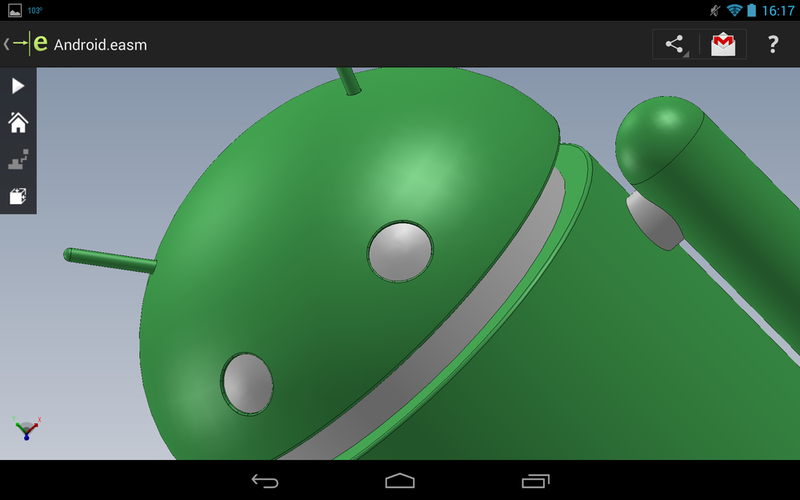 The fact that SolidWorks themselves stated in the SolidWorks Forums in the Official eDrawings Mobile Wish List thread that there were "No plans to develop for Android", brought customers out in droves requesting them to reconsider. 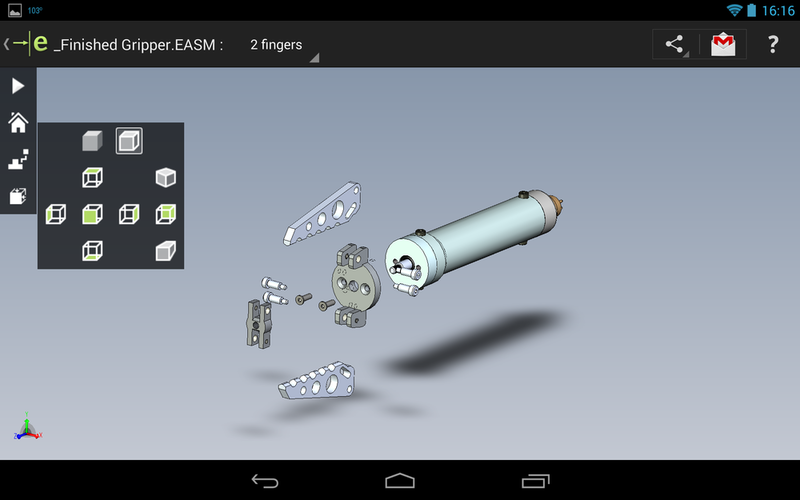 Yesterday news came down from the SolidWorks Blog that eDrawings had finally made it's debut onto the Google Play Store after being pre-announced back in January. 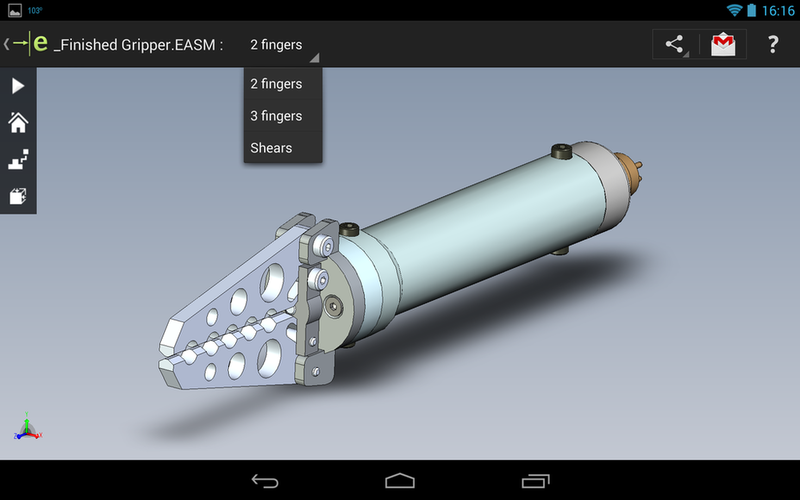 eDrawings for Android, like it's iOS sister, is the only real viewer that can work with the breath of features in native SolidWorks files. * Open 3D (EASM, EPRT, SLDASM, SLDPRT), 2D (EDRW, SLDDRW) and associated files from any source: email attachments, cloud storage services (Dropbox™, SkyDrive®, Google Drive, Hightail®, and others), web and FTP sites and network folders. 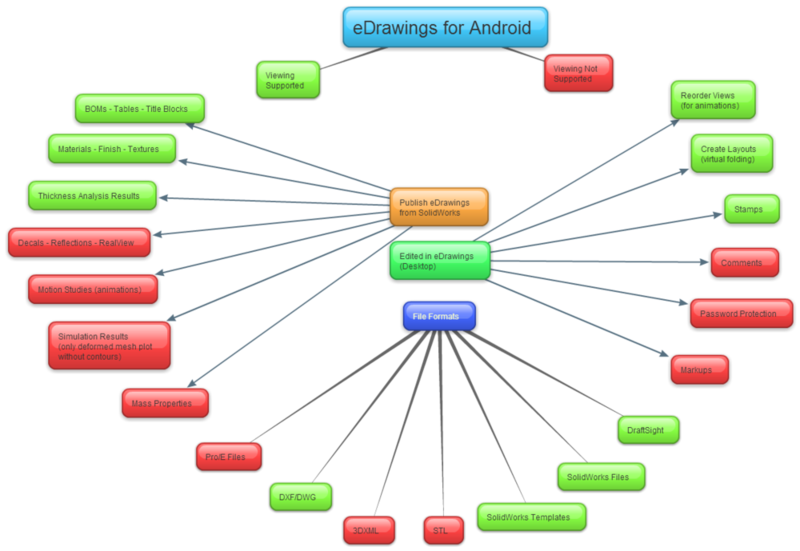 You might remember the launch of the iPad version that shipped on May 1st, updated on June 15 and in September eDrawings Pro for iPad shipped which really made eDrawings on mobile something to envy. There has been no official word on if/when a pro version will be available for Android but I am sure they are working on it as we speak.